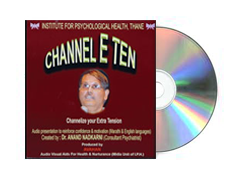 This CD directs us to release our Extra Tensions through a series of positive instructions and guidance by Dr. Anand Nadkarni. 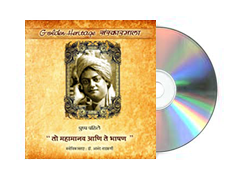 This CD explains in depth study & thoughts of BHAGWAD GEETA, DYNANESHWARI & DASSBODH as well as PSYCHOLOGY followed in WESTERN COUNTRIES. How to raise your child. Successfully? 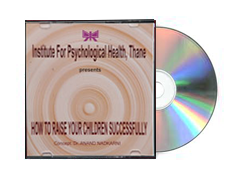 Effective guidelines & inputs from experts about commonly faced issues or problems while raising your children.. Documentary on individuals (Dwij 2008 awardees) who have suffered a serious psychological disorder and have overcome it successfully to lead a productive life.Their stories are a source of motivation for everyone. The Dwij award is given jointly by USV pharmaceuticals and IPH topatients and caregivers who have faced great odds to overcome a serious and debilitating psychological disorder and emergedsuccesful to lead a productive and high functioning life. 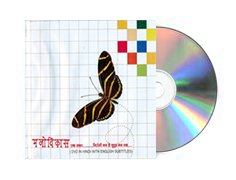 Anger Managementthrough Rational EmotiveBehavior therapy (REBT) and Indian philosophy. IPH's annual career guidance conference has successful personalities from varied fields talk about their careers and their journey to success with students and parents. Each VEDH is built around a particular theme and relies on the principle of vicarious learning. Through VEDH, students and parents are exposed to a wide range of career options which they may otherwise not know. Faculty included Kalpana Joshi, Vishwas Nangare-Patil, Atul Kulkarni and many more intersting personalities. Faculty included Dr. Abhay Bang, Nitin Chandrakant Desai, Subodh Bhave andmany more interesting personalities. Faculty included Salil Kulkarni, Sandeep Khare, Sucheta Kadethankar, RenukaShahane and many more interesting personalities. Faculty included Deepak Ghaisas, Veena Patil, Amruta Subhash and many more interesting personalities. 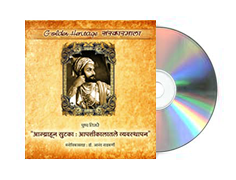 Motivational and inspiring songs composed by Dr. Nadkarni. 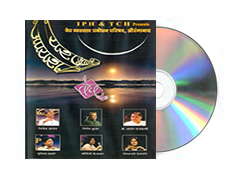 These songs have been part of various VEDH career conferences. मानसशास्त्र आणि इतिहास ह्या विषयांची अनोखी सांगड घालणारी संस्कारमाला विवेकानंदाच्या शिकागो मधल्या प्रख्यात भाषणाबद्दल आपण ऐकलेले आहे. पण कशासाठी स्वामीजी गेले होते अमेरिकेला? त्यामागच्या प्रेरणाकोणत्या होतया? काय बोलले ते आपल्या भाषणात ? त्यामागे दृष्टीकोन कोणता होता आणि तो तयार कसा झाला ?खडतर भावनिक प्रसंगातून कसा मार्ग काढला स्वामीजींनी. ह्या साऱ्या प्रश्नांची उत्तरे देणारे हे सादरीकरण. 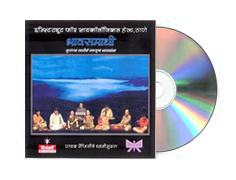 मानसशास्त्र आणि इतिहास ह्या विषयांची अनोखी सांगड घालणारी संस्कारमाला लोकमान्यांच्या व्यक्तिमत्वाचीघडण कशी झाली त्या प्रक्रियेचा मागोवा घेणारे हे सादरीकरण आहे. लोकमान्यांना त्यांच्या उद्दिष्टांचे भान कसे आले, त्यांच्या पूर्तीसाठी त्यांनी अंगभूत गुणांचा वापर कसा केला ह्याची रसपूर्ण कहाणी. ज्ञानार्जनाची अखंड तळमळ आणि राजकारणाच्या धकाधकितले नागमोडी डावपेच ह्यातून स्वतःचे भावनिक संतूलन राखणाऱ्या टिळकांच्या व्यक्तिमत्वाचा अभ्यास. मानसशास्त्र आणि इतिहास ह्या विषयांची अनोखी सांगड घालणारी संस्कारमाला दिनांक २ ऑक्टोबरचे गांधी जयंतीचे औचित्य साधून आपल्यापुढे सादरीकरण होणार आहे स्वातंत्र्य चळवळीच्या इतिहासातील एका गौरवशाली पर्वाची कहाणी. 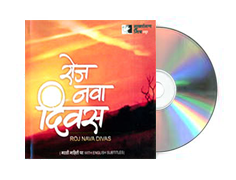 'Case Study' पद्धतीने केलेले दांडीयात्रेचे मनोरंजक विश्लेषण मराठी आणि इंग्रजी अशा दोन्ही भाषांमध्ये मिठाच्या सत्याग्रहावरचा चवदार कार्यक्रम.